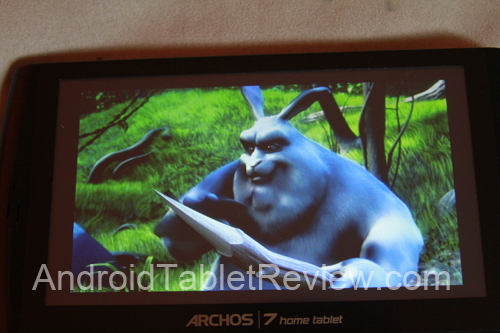 Archos 7 Android Tablet Review! ← Wibro Egg (4G MiFi) Launched in South Korea! So, I got the Archos 7 Android Tablet the couple days ago and I’ve had plenty time to play with it to give you a good hands-on review. First, let me say the Archos 7 Android Tablet is a great portable media device that will let you surf the web, watch YouTube videos, and also play your favorite Avi, MOV, MP4, and even DivX movies. The highlight of Archos 7 is that it comes loaded with media encoders. In otherwise, it’s capable of playing any kind of video files no matter what the extension is, unlike iTunes, where you would have to encode it into a file that iPhone/iPod Touch/iPad can understand. The Archos 7 is compatible with PC, Mac, and Linux. You can just plug it into your computer via a mini-USB cable and start dragging your favorite movie files. No need to worry about file formats! 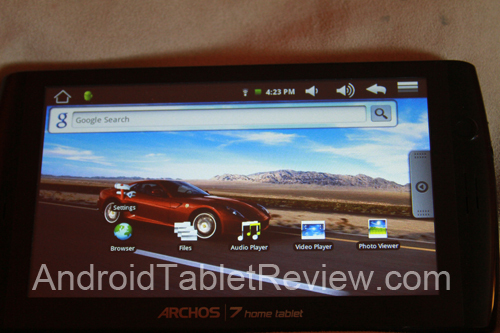 The Archos 7 comes with a “resistive” touchscreen, meaning it’s not the best multi-touch screen out there. But after using it for couple days, it’s not too bad and the keyboard is awfully good just because of the screen size. You won’t expect multi-touch like on an iPhone, iPad, or Nexus One but it’s certainly not going to hurt your browsing experience too much because I have found that the large 7-inch screen allow you to view most websites without pinch-and-zoom. Seriously though, I am tired of pinch-and-zooming on my Nexus One or the Palm Pre, the only reason you do that is because the LCD screen is too small. 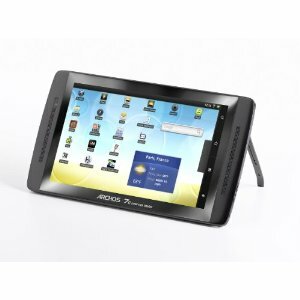 With the larger 7-inch screen, the Archos 7 does a great job of letting you view websites without extra pinching movements. No Flash? But SkyFire does a great job of streaming videos! That’s no problem though, in time, Archos should be upgrading the device to Android 2.1 or even 2.2. You can download SkyFire on your Archos (it’s not in Archos Market) and pretty much view any video site including po*n.
Also, you can download YouTube player app to use the native browser. 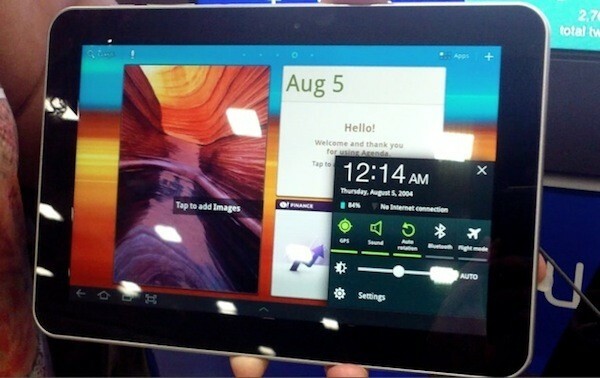 I was actually expecting more from Archos 7, perhaps a “capacitative” touchscreen and faster speeds. But after using it for 3 days, I found that the resistive touchscreen wasn’t a big problem because the screen was so much larger than my Nexus One, which has just 1/4 of its screen size. I regularly use my Nexus One to browse the web when I am not in front of my desk but after buying an Archos 7, that “browsing” was replaced with the Archos 7. The large 7-inch screen makes me squint less, especially because I have really bad eyes and my eyes get irritable on small screens. Don’t get me wrong, Nexus One is still a great smartphone I use when I am away from home but Archos 7 now becomes my favorite portable device to surf the web while I sit on my couch watching TV. Archos 7 isn’t anything close to an iPad, in fact, it’s a completely different portable media player that’s also just 1/3 price of the cheapest iPad. If you aren’t too huge about apps and you just want to surf the web, watch movies, Archos 7 is a great tablet device you can get for just $199. Another great thing about Archos 7 is that it streams internet videos without any lag. That’s due to its media GPU processor that can handle better graphics than my Nexus One, the 32 bit DSP 430 MHz processor. This device is a “media beast”. It’s not fast by any means but for media, you are going to love it. There’s going to be better Android tablets coming out later this year but for those of you who don’t need all the shebang but want to just surf the web, watch videos, play DivX movies in the bed, get the Android Archos 7 Tablet here on Amazon for just $199. 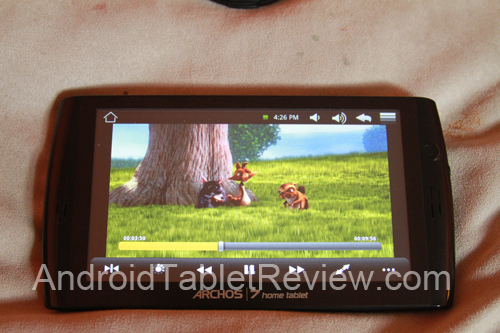 21 Responses to Archos 7 Android Tablet Review! 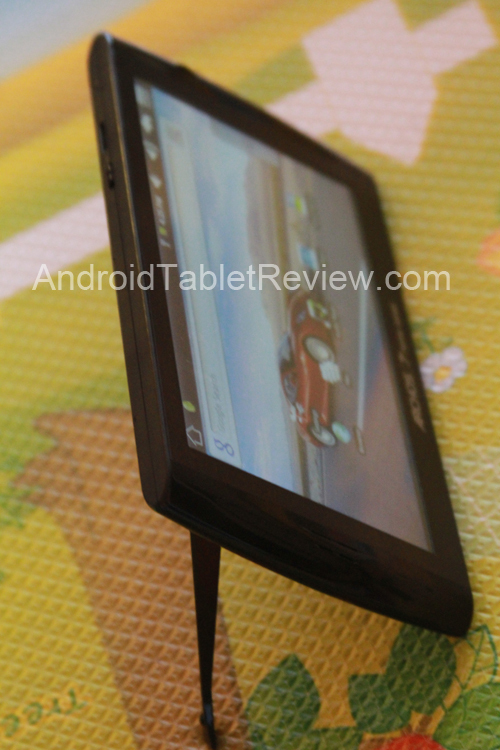 Pingback: Archos 7 Android Tablet Unboxing! 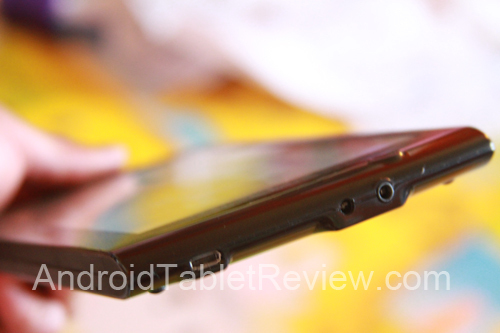 | Android Tablet Reviews! God that thing is lucky. But I love your blog, and seeing how tech related everything is I wouldnt expect anything else but Linux from you lol. P.S. Running dualboot Windows7/Ubuntu on my desktop/ASUS UL30Vt, XP on Eee PC 1000HE, Android on Nexus One/Archos 7, Ubuntu on Mac PowerBook, https://zedomax.com/blog/2009/09/20/mac-hack-how-to-clean-cpu-fan-and-replace-hard-disk-on-a-powerbook-g4/, and I love Mac hardware but I have no need for OSX, there’s not one single app I need to run on OSX and Adobe Photoshop/Premier runs fine on Win7. Oh yeah, my old old iPod with 60GB, love that old iPod, wish Jobs started doing what he did with the old iPods, making idea happen with all goodness, not hatred. Haha awesome man. Yeah no information system/computer science/tech geek related person can deny Mac creates the best hardware. 199 is cheap! It just doesnt look appealing to me though. I do see your point as far as cost though. My college gave out two free ipads. I had a good feeling I was gonna win it. I looked over today a girl was studying slides off one, I asked her, she iterated that got it for “free” through the school. UGH PISSED! I wanna jailbreak that biotch. I want to buy this Archos 7 Android Tablet but I also want to use inside my car when travelling so my 2-yr daughter can see her favourites movies. Do you know where I can find car headrest bag/straps thos this Archos 7 Android Tablet? Thanks in advance. Had an Archos and thought it was the most amazing way to play pirated movies I had downloaded on Bittorrent, and then I got an iPad. At first I thought I would have problems with the AV files until I realized 99% of them were MP4 encoded and all I needed to do was change the extension over to .mov by reserving. 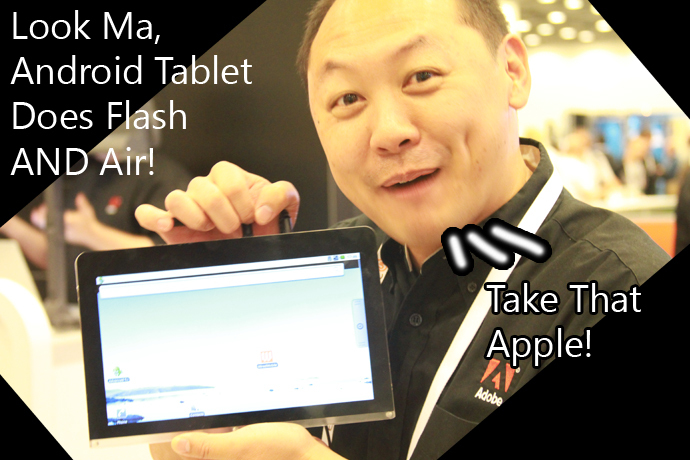 Wait until cheaper Android tablets come out, they will be better/faster/cheaper than iPads. Btw, I just got my new HTC EVO 4G, it’s SO FAAASSSTTT! Pingback: Android Tablet Hacks – How to Make Your Own DIY Android Tablet! I interested to buy one for as an travelling gadget, aka for plane to see videos and also in hotels to use as an web browser, as long flights can take 10h or more this would be good looking item, as this has about 6 to 7 h video ability, was wondering to use some additional power units, does anyone know can i use TekCharge MP3750, did ask from the Tekkeon about MP3750 units suitable to Archos 7 and they asked How many volts and amps is need to power the Archos 7?, can some one answer to this, there are few other items to use as power addons, like Philips 2go and Tekkeon MP2250 that had in document its usable with Archos 7, Philips i dont know, it only has USB voltage out, should be fine but im interested about that Tekkeon MP3750…. As you have one Max, can u answer to this volts amps Question…. Hi Karij, thanks for visiting and reading my blog post! It uses just 12V AC/DC adapter, which is generic and you can easily build a battery pack for it if u need more batteries. Surprisingly, batter life on the Archos 7 is great, you can indeed watch movies straight for 8-10 hours depending on the quality. Great site Max, I just subscribed. Thanks for all your footwork to keep us informed! I have saw you have reviewed a couple of the “pads”, and I was wondering if you have any thoughts about the Notion Ink Adam? They seem to be having some “release” problems, but that may just be due to the release of the iPad? The published stats promise greatness that I hope they can live up to! Any thoughts? Hope to see you review it when its available. Notion Ink Adam does look pretty amazing but the thing with tablet world is that nothing is for sure until the product comes out. Well, I know there’s at least 20 different Android tablets coming out January 2011 for sure and many more headed for 2011, check back in January as I will be at CES to check out even newer ones. Thanks for visitin’ Bill! How does this handle PDF documents? I am looking for a decent PDF reader as I have a lot of books and magazines in this format. Yes Barry if you download a free app for it. We use one simply called ‘PDF Viewer’. It works great. I’m having trouble with two things on this. I get a network error every time I try to access appslib, which I’ve never been able to get into despite registering the product with archos and paypal. Any thought s on how to fic that? Also, I can’t figure out where to buy movies that I can download in the right format. Nothing has worked. Any suggestions would be great! Maybe it’s in appslib so that’s why I’m confused. Check out more interesting categories: Android Tablet, Computer, Featured Gadgets, Featured Reviews, Gadgets. 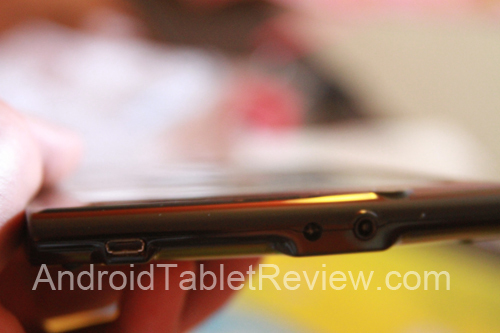 Archos 7 Android Tablet Review, Now Available for Pre-Order on Amazon! Archos 70 250GB Available Now! 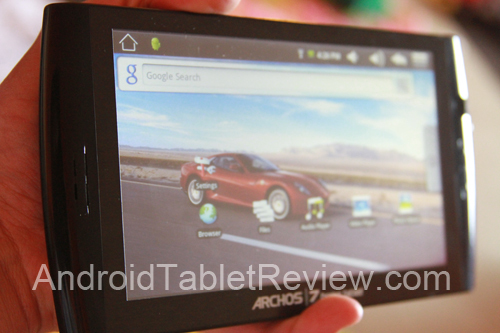 Archos 7 Android Tablet Unboxing Video! Android Tablet Hack – How to Install GMail, GoogleMaps, and Android Market on Archos 5!